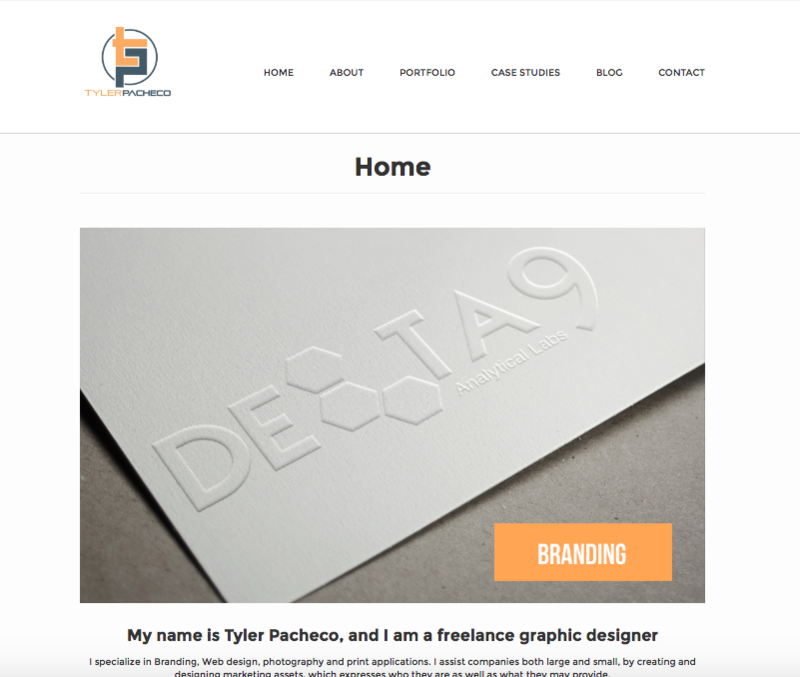 The challenge was to take my old web presence and rebrand/redesign the website to match who I am as a designer. The new site also needed to display the style of designer I am, through images and copy. The design process for this project started with first identifying what was wrong and what I did not like about the old website. After scanning each page evaluating the images, checking the hierarchy, and seeing how each element was laid out I found many things wrong. I also came to the conclusion that the style of the site was far from who I am as a designer. The website lacked of a true color scheme, the icon and were not to the best of my abilities, and the branding it’s self was not how I saw myself represented. Deciding to use a CMS was a the first step. Being that the original site was built in WordPress I decided to continue on using it. Due to it’s simple interface, and simple customizable settings I knew that updating the site would be much easier than creating a new website from scratch. 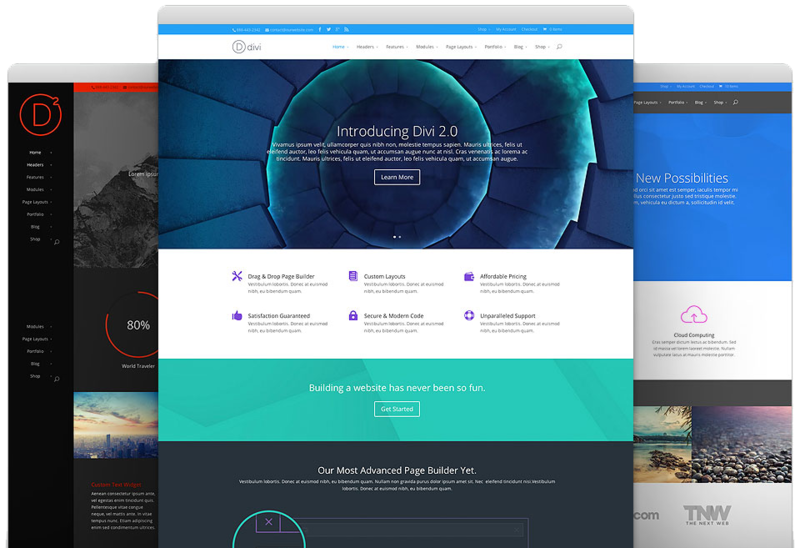 From there I decided on the theme Divi by elegant themes which included the new divi page builder. With this new theme and page builder the update would go smoothly and designing a layout would be simple. Deciding on the style of this website was the fun and exciting part of the rebuild. The idea was to convey who I am as a person and as a designer, so I had to start with a reflection of my work and begin to notice all the common elements and colors in a large portion of my designs. I came to the conclusion that a lot of my work is done in a modern flat vector style, while using color to add contrast and bring attention to specific elements throughout each project. With this knowledge I was able to recreate new imagery, icons, create a strong new color scheme based off my branding. To finalize this website I had to go through each page and begin to populate them with the new images and content. While doing this I wanted to keep in mind SEO and optimization as much as I could. Knowing this I made sure that each page had some sort of heading for the internet bots to read so that google knew exactly what each page was about, I kept my image sizes down as much as I could and constantly added Alt Tags and descriptions to each. Being that this is a website this optimization process may be the most important part of the rebuild, this way google and other search engines will rank this site well and it will reach its intended audience. Lets talk and find out if I am what your looking for!